The Forklift Center is the best place to find and compare prices on all types of used forklifts. 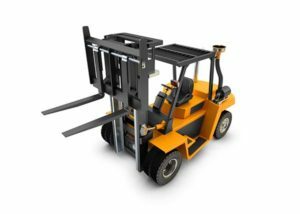 Whether you are looking for a dealer certified used forklift that still has a warranty, or you are just trying to see how much a used forklift costs, TheForkliftCenter.com can help. We have made it easier than it's ever been to compare prices on used forklifts for sale, no matter what type of pre-owned lift truck or manufacturer. When buying a used forklift it's important that you thoroughly inspect the lift and make sure that all parts are working properly. While price is the number one factor our customers consider, it certainly isn't the only thing you need to be aware of. The Forklift Center experts will match you to the perfect pre-owned equipment for your needs based on lifetime value, monthly usage and more. Used forklift inventory changes daily. Request a quote or call now to find out about current inventory and pricing. Buying a used forklift compared to a brand new one is a great way to save money. Used forklift prices range from about 30% - 50% cheaper than brand new models, and are often times in excellent condition. If you are buying a standard pre-owned forklift you can expect to pay around $8,000 - $15,000. The best way to ensure that you are getting a great deal on used forklifts is to compare prices from a few used forklift dealers in your area. Note that when a dealer says their used forklifts are "certified", you will often end up paying more for a simple inspection they perform. Don't focus on the specifics of the equipment refurbishing, instead focus on any guarantees they will provide. This can help justify the higher cost of used forklifts purchased through a well known dealer. Request a quote right now to compare prices from a few of the best dealers in your area as you won't find a better price on a used forklift for sale anywhere else! We love to help new customers so give us a call today to see how we can help.